Food and drink megabrands are seeing their sales chewed away by smaller, nimbler, cooler rivals. They can't beat them - so now they're joining them. Nine of the world's biggest industry players, including Danone, General Mills, Campbell Soup and Kellogg, have launched venture capital units over the past 18 months, a Reuters analysis of the sector shows. This is forcing the companies to take a leaf out of Silicon Valley's venture capital playbook - and their success or failure in harnessing promising new trends at a very early stage could help determine how well they adjust to the changing landscape, and whether they ultimately emerge as winners or losers. "It's difficult for companies to have the persistence and to replicate the energy and the passion that these early-stage entrepreneurs have," said John Haugen, head of General Mills' venture capital arm 301 Inc, adding innovation was extremely tough because of how quickly market trends were changing. "We're just a year or a little more than that into these investments," he said of 301, where his team of about 15 sits down twice a month to pass around dozens of samples from start-ups. "For me it's part of a total long-term growth strategy for our company." In the United States - the world's biggest packaged food market - small "challenger" brands could account for 15 percent of a $464 billion sector in a decade's time compared with 5 percent now, according to Bernstein Research. The researchers point to successful upstart brands like Chobani Greek Yogurt, which they say has stolen more than half of General Mills' market share in yogurt, and Kind Snack Bars which have taken a big bite out of Kellogg's snack bars. The nine companies to recently launch venture capital arms also include Hain Celestial, Tyson Foods and Pernod Ricard. Typically, their funds range in size from about $100 million to $150 million. While it is still early days for them, the experiences of the handful of food and drink firms that have had funds for several years - Nestle, Unilever, Coca-Cola, PepsiCo and Diageo - could offer some guide to the future. Coca-Cola, for example, has had a mixed record; its investment in Honest Tea was a success, but a fermented soda and a Japanese tea failed to take off in the United States. So far none of the companies' venture units has delivered a blockbuster brand, but they say a link to the cutting edge is worth the effort. Diageo, the world's biggest liquor maker, has invested in 14 start-ups through its venture capital arm Distill Ventures, spending about 30 million pounds over the last four years on minority stakes. 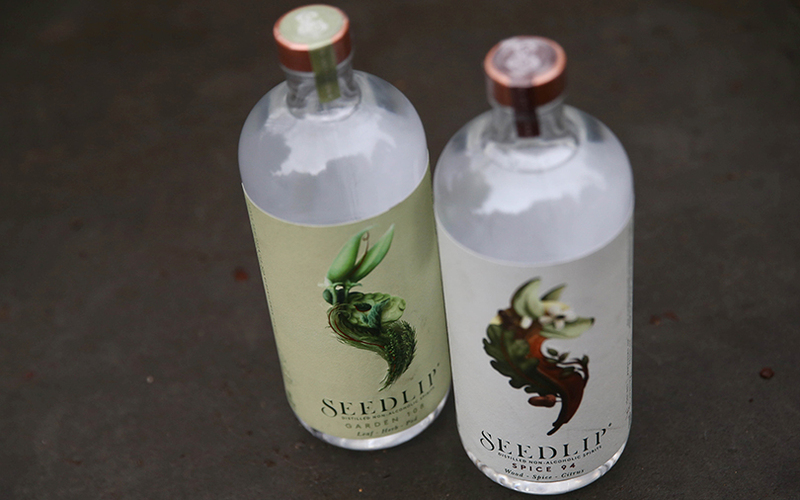 It points to last year's purchase of a 20 percent stake in Seedlip - a British start-up that says it produces the world's first non-alcoholic distilled spirit - as a prime example of how the strategy is making it more adventurous. "If we'd had our strategic areas written down four years ago - what does Diageo want to go after - nowhere would we have written down, 'We think there's a big opportunity for a non-alcoholic spirit'," said James Ashall, who heads its innovation unit Diageo Futures. "By Distill Ventures provoking our thinking about the space it allows us to stretch into an area that wouldn't have been naturally in our gift." More broadly, Diageo says the venture arm is changing its culture. The global corporation now makes its marketing managers pitch for their ad budgets, like the entrepreneurs who present at Distill Ventures' laid-back office for 20-30 minutes and get an answer on the spot. "It makes our decision-making faster and more exciting," said Diageo's chief marketing officer, Syl Saller. "Big companies are saying, wait a minute, we used to beat these guys down," said Branson, a bearded and tattooed ex-marketing executive who grows some Seedlip ingredients - peas and hay - on his farm in eastern England, where he also dabbles in taxidermy and painting. "Now I think it's amazing that there is this switch to let's not beat them, let's join them." The venture capital divisions are not only for delivering returns or swallowing start-ups, executives say, but also to act as an extension of the companies' research departments. "This is a form of R&D for us, or access to places where the company isn't currently participating," said Simon Burton, who heads Kellogg's new venture capital arm, Eighteen94 Capital. Campbell's general counsel, Adam Ciongoli, said flexibility was needed to attract the best and brightest. "Why would they want to sign up from the get-go with the idea that they're not going to be able to maximize their economic leverage and their exit?" said Ciongoli, who sits on the investment committee of Acre Venture Partners, which Campbell set up last year to contend with the "revolution going on in food". "Something really good might come out of it, so I don't have a problem with that," said Alan Custis, head of UK equities at Lazard Asset Management, an investor in Diageo and Unilever. "It is a lot easier today than before to find funds," he said. "Entrepreneurs are the new rock stars."